A guest post by Betsy Zink, Kupona Board of Directors. This past October, I was privileged to do just that. As a new member of Kupona Foundation’s Board of Directors, I made my first trip to visit Kupona’s partner in Tanzania, CCBRT. In addition to visiting the CCBRT campus in Dar es Salaam, I visited CCBRT’s clinic in Moshi to learn more about the community based rehabilitation work happening in that region. On my first day at CCBRT’s Disability Hospital in Dar, I was struck by the devotion of the medical staff and hospital administration. It was inspiring to hear how they articulated their sense of purpose as healthcare providers. It was also clear to me that Kupona and CCBRT support a critical piece of the Tanzanian healthcare system. 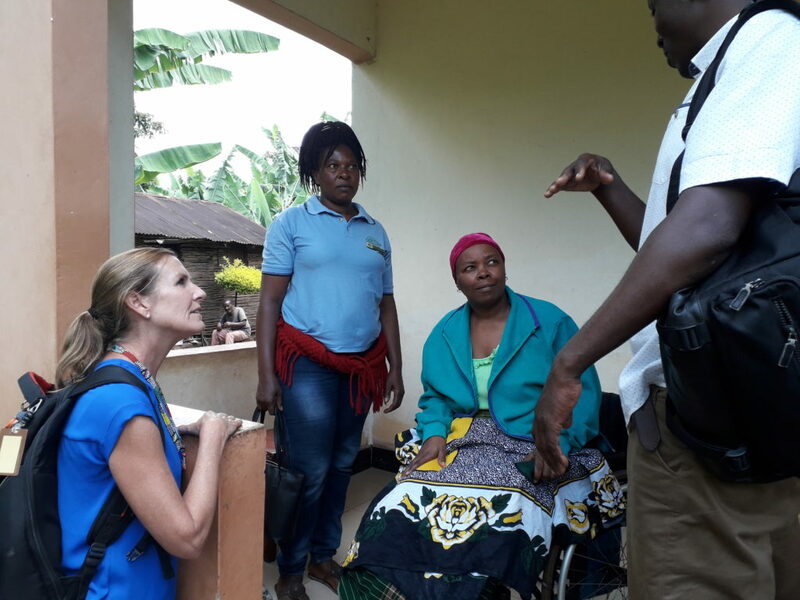 On each of the wards, patients receiving treatment for obstetric fistula, orthopedic conditions, and congenital and visual impairments conveyed the same thing: they had no other means of receiving high quality disability or rehabilitative healthcare, and they rely on the services we provide. A similar sentiment was expressed when I visited CCBRT’s maternal healthcare capacity building sites and met doctors and nurses who are being trained and mentored to provide high quality, life saving maternal healthcare. They are so grateful for the support they are receiving from CCBRT (and Kupona) and know that it is improving the entire Tanzanian healthcare system when they can better serve the people who are most in need. And it was the people most in need that I was now seeking. I’d seen patients and caregivers within the clean, organized CCBRT clinics but wondered, “where are our patients coming from”? 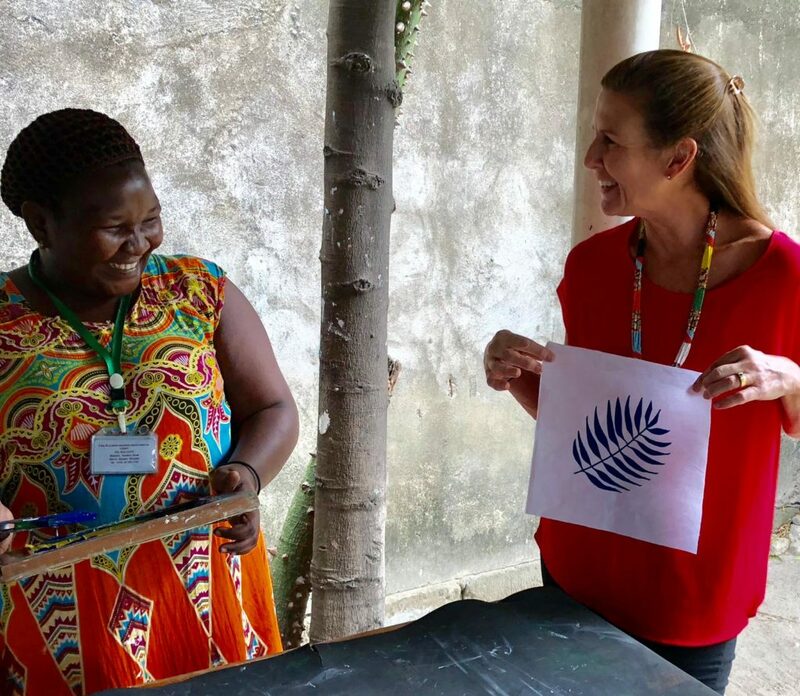 Answering that question directed the rest of my personal travel time in Tanzania as I tried to walk in the footsteps – if just for a short while – of those we serve. I plunked myself in a simple lodge outside of Arusha and vowed to “live locally” for the week. Each day I set off on foot, with minimal shillings and a small backpack, and headed away from the nearest road to a local village. I spoke with shop owners, and women working in the fields. I visited schools, made friends, was invited into homes, tasted local dishes, learned about crops and asked folks about medical care, birth experiences, their families and challenges in their lives. My experiences and photos revealed something I knew all along: women are the heartbeat of Africa. They are the workers in the home, fields and small businesses. Every time I stopped to take in my surroundings, I saw women hauling water, carrying firewood, harvesting, planting, selling, milking, cooking, washing and child rearing. When the need to seek medical care means a woman must travel from her home, the ripple effect is destabilizing. Whether she is a woman with obstetric fistula who must seek surgical care, she is a mother experiencing complications in childbirth who requires medical intervention for a safe delivery, or a mother accompanying her child for orthopedic care or eye surgery her absence is keenly felt by those at home and in her community. Kupona, through CCBRT, supports affordable, comprehensive care for women and children. From transportation costs, to providing room and board, and throughout treatment, there is a focus on easing the family’s burden. For those needing outpatient care, trained therapists travel to homes to deliver training and patient monitoring, allowing mothers to stay at work and avoid costly travel. Whenever possible, we use mobile phones and mobile technology – to assist with appointment reminders, follow-up to ensure patients are having good outcomes, and as a means to help patients travel to the hospital – for fistula and cleft lip/palate patients, the cost of transportation can be a barrier to accessing care – even if the services are free. On my last day of travel, I enlisted the help of a local fellow and his pikipiki (motorized scooter) to help get me to the bus stop. As we were driving, a woman suddenly stepped out and waved us down. She asked if I was the Fistula Lady. She had overheard conversations in the village that someone working with CCBRT and Kupona was in town and could help women with fistula, so she came looking for me. She told me her sister-in-law had experienced terrible symptoms after a difficult labor and had delivered a stillborn child. Her husband, believing her to be ill or cursed, and embarrassed by her physical state, sent their two older children away to his parents, refusing to allow them to see their mother. My new friend was determined to help her desperate sister-in-law and asked for our help. She added that there were many more women in surrounding communities that were living with fistula, and they needed our help too. I thought about that forlorn mother who had been separated from her children after surviving such horrific and preventable trauma. I thought about her heartsick children and misguided husband and the grief that all of them must be feeling. And it was then that I vowed to continue the work Kupona and CCBRT are engaged in. Keeping women whole, healthy and at the center of Tanzanian life is a worthy goal, and through Kupona’s support of CCBRT and its programs we are doing our part to achieve this goal. I invite you to join us. Email us with questions, visit our impact page to learn more or read our Annual Report. Every woman, every child and every family deserves to have access to high quality healthcare that is affordable. And when a family or community loses its heartbeat, the ripple effect of that loss touches so many. A remarkable woman helping those Women Who are the Heartbeat iof Africa.